It's hot outside. How about some fun ways to stay cool this summer for the whole family? But first - let's touch base on the basics before we get to the fun stuff. 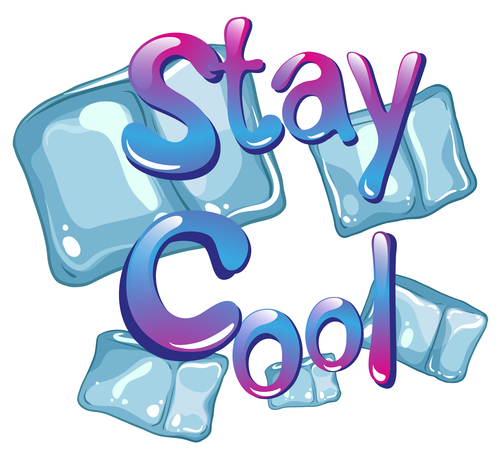 - Eating cool treats such as ice cream or snowcones can help make your body feel like it's cooler than it really is. Drinking a nice, large glass of ice water has the same effect! - DIY styrofoam AC unit with a styrofoam box (or cooler), dryer vents, some ice and a small fan. You can find all sorts of variations on the internet right now! - Opening the windows at night helps circulate cool air around your house - it's free! Just dont forget to shut them in the morning before the warm air moves in! Also try keeping the shades closed during the day to help prevent warm sun rays coming in and heating up your home. - Wear light clothing. Lighter colors reflect the sunlight and will keep you a few degrees cooler than wearing a black shirt. Changing bedding to a lighter-weight blanket will also help you keep cool. - Reduce the usage of appliances such as the oven, stove or dryer. Hang clothing outside to dry in the fresh air. - Shorten that summer 'do. Shaving heads or even portions of the head helps SO much with keeping cool. Just don't forget to wear sunscreen if you shave your head. Women, try a pony tail or messy bun so hair doesn't lay on your neck. - Freeze toys in a giant block of ice and food coloring to let little ones "excavate" the suprises out using a toy hammer and screwdriver! - For dogs, you can do something like the kids toys - but for dogs. Add chicken broth to the water to make the giant ice cube a tasty treat! - Water activities are always a hit for the kids. Try making your own sprinkler with a pool noodle. Bonus points if you can get the kids to help! - Water balloons are always fun. But have you ever hit a water balloon pinata? Neither have we, but it sure sounds fun! - Throw bed sheets in a plastic bag and in the freezer while your away at work. Put them on the bed right before you are ready to lay down. Ahhhh, a few minutes of pure bliss. - Lather up on sunscreen and hit the beach or pool. Everyone knows swimming helps cool the body down! - If you have a dog, give it an outdoor bath. Odds are you will get wet too - which will only help cool you down as well! - Same thing goes for washing the car. OR you can convince your kids to wash your car for you! Let them earn money while you get to take a small break from hearing "I am bored" every 20 seconds. It's a win-win! We hope you get a chance to enjoy the much needed warm weather this summer with your family. Just remember to hydrate and apply sunscreen often! For more fun activities to keep you and your family busy this summer visit Verywell Family!